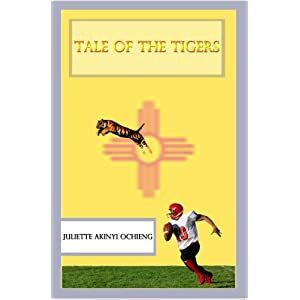 Author Juliette Akinyi Ochieng, aka blogger "Baldilocks," says her book, Tale of the Tigers, has sold 23 copies on Amazon in the 11 months since it was released (can't tell if it's been on Amazon that long). Its current sales rank is #10,139 overall and #9 in sports fiction. That appears to indicate that 99.9 percent of Amazon books have sold fewer than two dozen copies in the past year. (That's no surprise. Millions of books are written and never see the light of day. Bookfan Amazon updates its rankings hourly. It would be more useful to know what the rankings were over the course of the year and when the sales actually took place. If 24 of the sales took place in the past week she could have that kind of rank but been in the high millions the rest of the year? The sharp spike in sales trajectory might explain the ranking despite few sales over the course of a year. 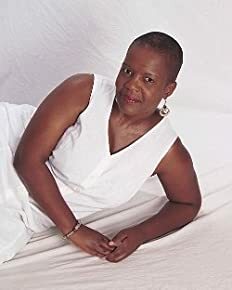 Tonight sometime I run the numbers for my July/August best sellers list which is derived solely from my sales on Amazon. I will compare my sales figures against the current Amazon ranking and get back to you with a comparative analysis. Keep in mind Amazon tracks the sales of MILLIONS of books. The vast majority of those books sell very few copies. Someone that sells 2 books a month, on average, is probably tied with a 500,000 other authors. When the Amazon ranking is that low (less than 1,000 or so) the differences in the sales figures probably don’t amount to very much. I don't even take notice of an amazon rank greater the 500. Has an Amazon Bestsellers Rank: #74,758 on 9/3/10 I've sold more than 24 copies of this title this year. Amazon Bestsellers Rank: #276,332 (Hard) - I've sold more than 24 of this title too. Amazon Bestsellers Rank: #11,265 (paper) - The paper version of this title has sold almost half as many copies as the hardcoveron my site, but it's Amazon rank is much higher. Obviously more people are buying the paperback over all. I spot checked a few more titles and there is little correlation between my sales and Amazon's ranks. This could be because I took far too small a sample (a handful out of hundreds of titles sold). More likely however is that my sales volumes are not large enough compared to Amazon's total sales. Bottom line Juliette's stat sounds quite reasonable.